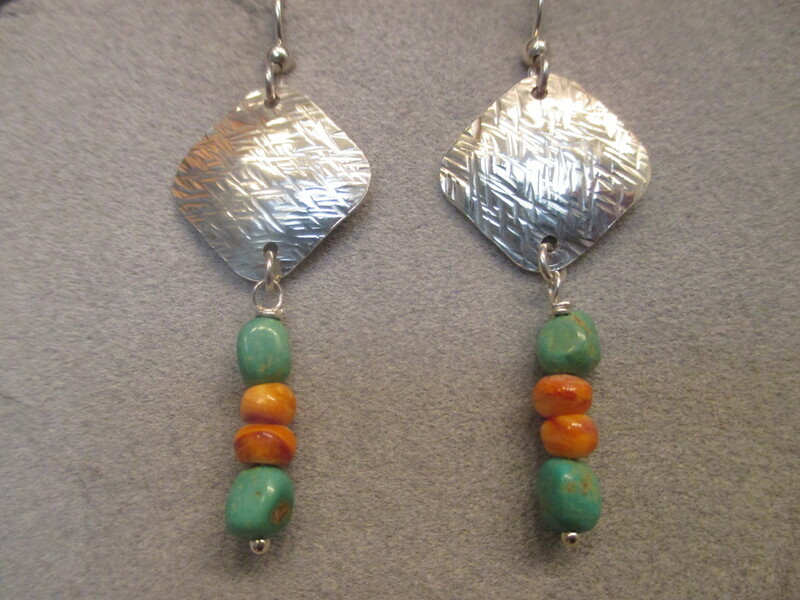 The earrings have a small rounded square hammered piece of sterling silver. The bead design has real Turquoise and spiny Oyster beads. They are a dangle style and about 1 1/2" long.